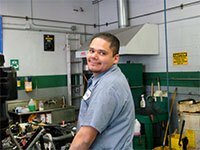 The staff at Central Automotive works hard to bring the most professional service possible to the customer. Both management personnel & technicians dedicate hundreds of hours each year to ongoing training. These are “Real Car Guys” that year after year have stayed at the top of their industry. From the owner right down to the courtesy shuttle driver we all take our jobs very seriously. 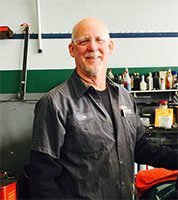 Robert Service has now retired after working in the automotive repair business for 38 years starting at age 16. Rob owned and managed Central Automotive Service Center ) since 1984. His mission was to assure that every vehicle is serviced thoroughly, and that customers to receive a good value when they bring their vehicle to Central Automotive. 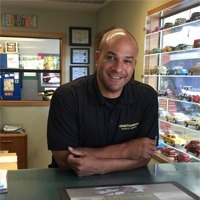 Matt Weathers started with Central Automotive in 2016. He has worked in the automotive industry for over 10 years and brings a vast knowledge of information about vehicle repairs. 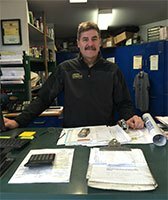 In 2018, Matt bought Central Automotive from Rob and continues to manage daily operations. If you have a question Matt will find the answer! Tim Brown has been a technician since 1971. 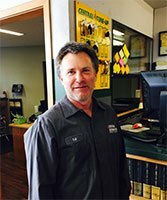 Tim started with Central Automotive in1997, and has become the shops “Head Mechanic”. His skills and experience include cars built in the early 1900’s (Antiques), up to the most modern technological marvels. Tim says he can fix “Anything with Wheels”! Israel Armenta started working on cars right out of high school. He studied automotive technologies at Los Medanos Junior College. Israel joined the Central Automotive Service Center team in 1999. Israel is the shops Brake, Steering & Suspension Specialist and can repair the most challenging “handling” or “braking” problems. Israel is “Advanced Engine Performance” and “Enhanced Smog Test & Repair” certified. Ed Beyer has worked in the Walnut Creek area as a technician for over 16 years. His knowlege of electronics and electrical systems have proved to be invaluable in the repair of modern vehicles. Ed is a “Master Certified Technician” and holds the “Advanced Engine Performance” specialist rating as well. Doug Hoffman joined the Central Automotive team in 2015. As our courtesy shuttle driver, Doug is "always on the go" safely transporting customers, vehicles and materials to and from the shop. Doug also keeps our facility running smoothly, performing maintenance and helping the technicians with a variety of tasks.